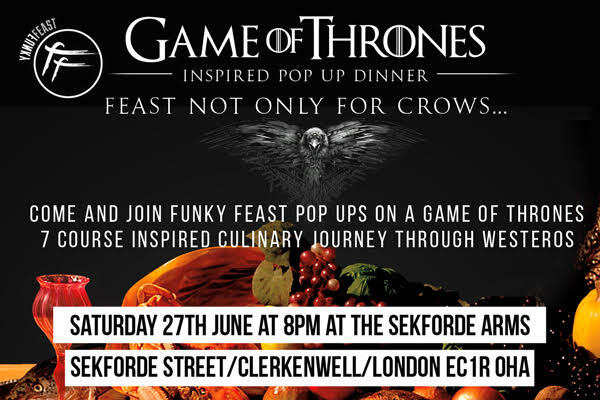 Join Funky Feast for a seven course dinner inspired by the famous HBO series of Game of Thrones, based on George RR Martin's saga of "Songs of Ice & Fire". 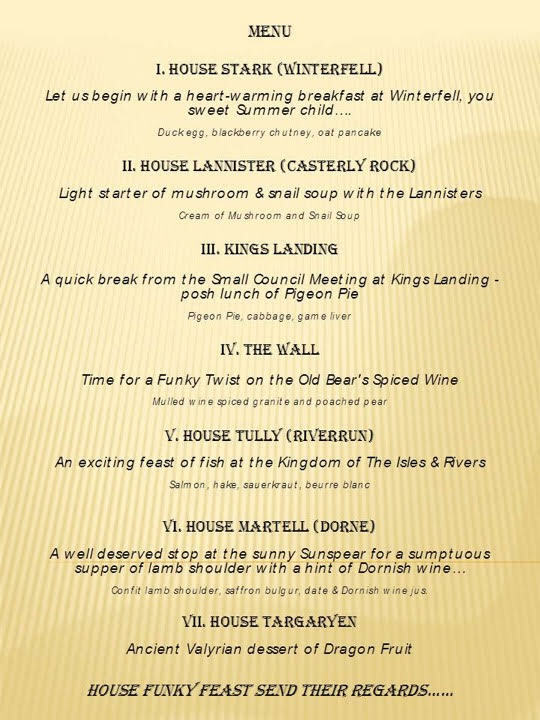 Whether you are fan of the books, the show, or both, or are neither, and maybe you are just a little curious to see what all the fuss is about, or are simply into good food — do give in to the temptation. The journey will be most exhilarating. 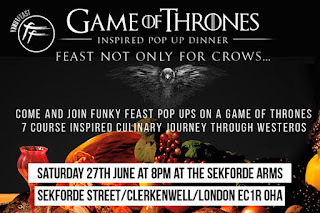 So,expect some comfort food from the Kingdom of the North, posh lunch of pigeon pie coming from King’s Landing, or our funky twist on the Jeor Mormont’s spiced wine, to name just a few stops on your journey through the Seven Kingdoms and beyond. 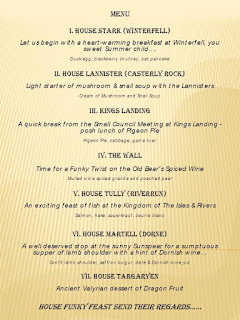 We promise that by the end of the feast you will be hooked."